Zentrum, Cologne's city centre, is characterized by narrow streets and alleys, which have no particular orientation. The old town is closed on the west side by the large ring road formed from the north, by Hansaring, Kaiser-Wilhelm Ring, Hohenstaufenrig, Sachsenring and Karilingerring and on the eastside by the banks of the Rhine, crossed by the two famous bridges Deutzer and Hohenzollern. The large central guideline that divides the centre becomes Hahnenstrasse Neumarkt in the area of the river Cacilienstrasse Heumarkt. In the centre there are many monuments to see, including the Old City Hall (Rathaus), the Great St. Martin church, the ancient art's Wallraf-Richartz Museum, the Stadthaus, the Government Palace. In the historical centre there are restaurants, clubs, and bars. 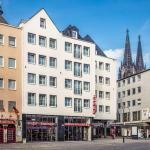 Cologne is a lively town, where entertainment and nightlife abound. There are dozens and dozens of hotels of every category in the centre available to tourists. 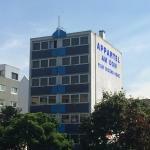 The Kölner Pension is located in the heart of Cologne. A short walk of about ten minutes will allow you to reach the central station and the famous cathedral. The metro Hansaring is two steps away. 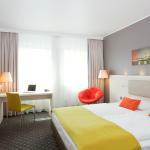 Hyatt Regency Köln is located on the banks of the Rhine, near the centre and the fair in Cologne. This five-star hotel, great value for money, is the ideal base for a comfortable and exclusive stay. 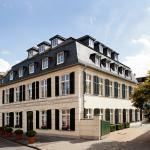 In the heart of Cologne, near the train station and the famous cathedral, Breslauer Hof Am Dom welcomes you. The nearby underground station allows easy reach of the exhibition Koelnmesse. 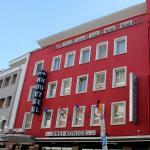 The Classic Hotel Harmonie is situated in the heart of Cologne, in a quiet pedestrian area. This convenient location allows you to visit the main attractions of the city, walking between the districts of Cologne.